You need assistance from a certified employment lawyer in Germany? Then you have come to the right place! 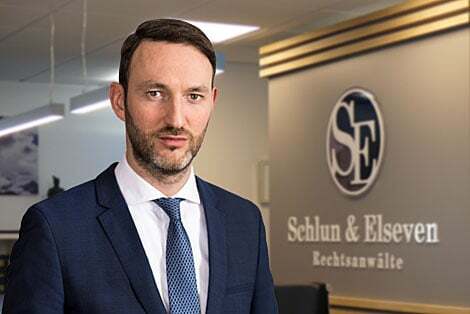 Our firm with offices in Aachen, Berlin, Cologne, Düsseldorf, Hamburg, Frankfurt, Suttgart and Munich works on employment contracts, severance payments, fixed-term contracts, termination issues, and many other employment law matters daily. Complying with – often short – time limits is of particular importance in the complex area of employment law. We can only assert your rights and entitlements derived from labour law if these time limits are observed. Therefore, it is vital that you keep an eye on any relevant periods, or that you obtain advice from our german employment lawyers early on. Dr. Thomas Bichat has many years of experience representing employers and employees, as well as managers. As an employment lawyer he is therefore familiar with the classic conflicts in employment and labour law from both sides. We can offer comprehensive assistance to employees and employers, from first contact to a fully satisfactory solution. Beyond this, we also offer individual in-house training for your employees and your works council. Our main concern is finding the individually tailored, best-suited solution for each of our clients. There is often a desire to avoid court proceedings and to come to a solution quickly. Usually this will only be possible if the advice of a specialised German Employment Lawyer is sought early on. Further, such early advice from a German lawyer can of course have a significant positive impact on the success prospects of any proceedings at the German Employment Court. Backed up by our expertise and excellent reputation, your personal contact Dr. Thomas Bichat is looking forward to receiving your employment law queries. For these purposes, you are very welcome to make use of our offer of a free preliminary evaluation via e-mail or our online form to get in touch with our employment lawyers. We represent employees, employers, managers, directors and other executives individual and collective employment law matters. When representing you, we are not limited to our offices in Aachen, Cologne, Düsseldorf, Hamburg, Berlin, Munich, Frankfurt, Stuttgart but can act in all German Employment Courts, State Employment Courts, the Federal Employment Court, and the Court of Justice of the European Union. Our employment lawyers can provide you with a comprehensive evaluation of the risks and benefits of court proceedings before each of these institutions, and will give you the relevant information early in the process. Use the form on the right to tell us about your concern regarding German Employment Law. After receiving your request, we will make a short preliminary assessment on the basis of the information provided and give you a cost estimation. You are then free to decide whether you want to instruct us. We can guarantee that this service is non-committal and free of charge.